Ever since XRP first went live, this cryptocurrency has only had two big problems. One is the bad application of decentralization, and the other is its parent company’s influence over it. When it comes to the first issue, it is important to realize that cryptos work through an agreement between their users. The agreement between participants is what keeps the blockchain secure. Users agree on the amount that goes between their wallets. This goes for cryptos like Bitcoin (BTC), as well as for those like XRP. However, when it comes to decentralization, XRP is largely influenced by Ripple, its parent company. Usually, if the parent company were to go under for whatever reason, its crypto could survive thanks to its users and the agreement between them. When it comes to Ripple (XRP), however, it turns out that Ripple (the company) holds almost 55 billion tokens which are locked into escrow for the next 4 years. XRP is decentralized, Ripple is not. Not only does Ripple own a large amount of XRP, but it also has a big influence on its use. Anyone who owns a certain amount in some cryptocurrency can do whatever they want with it. They can open a global money transfer firm, or use the crypto for business payments. However, when it comes to XRP, Ripple has always been the one who decides its future, and even chooses the industries that this crypto can touch. So far, banks and large money wiring services like Western Union and MoneyGram were the ones that Ripple wanted to work with. This has caused many people to ask Ripple to start more partnerships in the area of digital commerce. This attitude might not be the worst thing for this crypto, however. Despite the fact that Ripple acts like quite a dictator when it comes to XRP, this relationship is also one of the cryptocurrency’s biggest advantages. After all, Ripple was responsible for the XRP’s use within some of the biggest companies around the world. Without the company’s influence, all of these firms probably wouldn’t even bother with XRP. Despite being the biggest name in the crypto world, Bitcoin did not manage to do as well for itself as XRP has, at least when it comes to infiltrating large companies. Through Ripple’s connections to large firms and banks, XRP managed to bet the backing of the Central Bank of Saudi Arabia, Japan’s SBI, and even a connection to Walmart. This is one of the best ways of getting stabilized and ensuring that the growth and adoption become certainties. This position and some excellent marketing decisions have allowed Ripple to take the next step. This began with a $29 million donation on donorschoose.org, which Ripple donated for public education projects. Then, there was a $25 million investment in Blockchain Capital, which is dedicated to speeding up crypto and blockchain startups. Through these decisions, both the company and its cryptocurrency attracted attention, but also helped to influence the world through the use of XRP. Bitcoin’s name, status, and influence over the years will make sure that this crypto will keep its top place on the market. Bitcoin itself has almost become a synonym for cryptos in most people’s minds. Even those who have no knowledge about cryptos, the blockchain, or any other aspect of the digital market have heard of Bitcoin, and they know that it is a digital currency. Ripple (XRP), on the other hand, is not as well known and popular. However, instead of conquering the hearts of the many, Ripple went for specific partnerships on Wall Street and in the financial tech industry. It might not have its name known by nearly anyone with an Internet connection, but it sure did leave an impression where it matters. Bitcoin has been surrounded by scandals, thefts, scams and alike for years now, which influenced its very nature. Despite its popularity, it is seen as chaotic crypto with no certainties. Large businesses which usually have a lot to lose if their deals end up ruined would never invite the anarchy that follows Bitcoin into their business practices. Ripple, however, has shown a lot of stability, support from the parent company, and it is considered to be a classy digital currency that can hold its own. It acts and looks like a professional, which increases its chances of being accepted by a new company. The stock market and the crypto market can be very different at times, but there are several things that can be applied on both of them. They can be unpredictable, and there are only two ways of dealing with them – through sheer luck, or through a carefully thought out strategy. Neither of the two is a safe bet, however. Because of that, investing in cryptos can be very risky. However, there is a trick to doing this, and the most important thing that an investor needs to evaluate is whether or not the currency in question can fill the needs of the real world. Many of them are promising great things, but only a few manage to find a foothold in the world, and even fewer than that can hope to be adopted in a space that would allow it to make a difference. When it comes to Ripple (XRP) it definitely has what it takes. It has a potential to replace SWIFT, which the banks used for entire decades, at this point. It’s cheaper, faster, and more modern that SWIFT, which is what makes Ripple a very attractive alternative. Ripple has already entered many partnerships, and some of them are a real mark of the desire for this crypto to be fully implemented. 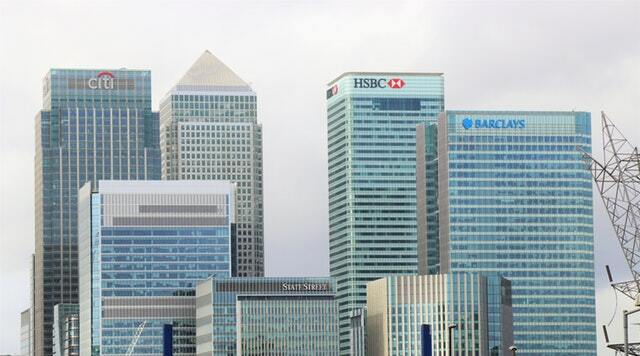 Banks are becoming more and more open to the adoption of this crypto, and this year has already managed to remove many concerns that they had regarding the currency. There are no certainties when it comes to cryptos and their future. However, Ripple fills the modern world’s needs, and investing in it is as safe as working with cryptos can get.